Birds aren’t the only things singing this spring: the Youth Music Festival is right around the corner. This April, we’re excited to bring kindie rockstar Mista Cookie Jar and the dynamic acoustics of the Oshima Brothers along with our resident High School Music Collaborative to the Firehouse stage. Jam-packed with songs new and old, music for kids and by kids, the annual festival is sure to have you dancing in your seat! First in the line-up is the amazing Mista Cookie Jar. Bringing his happy place to Pleasanton, C.J. Pizarro’s family band Mista Cookie Jar and the Chocolate Chips tours the world with their blend of “Urban-Island-Folky-Rock & Roll for the Inner Child”. Using funky beats, innovative music engineering, and flowing lyrics, Mista Cookie Jar takes good vibes wherever he goes. With a BA in English and Creative Writing from George Washington University, an MFA in Poetry/Creative Writing from LA’s Otis College, and over ten years of hip-hop production, activism, and performance, he serves as a role model for positive excellence to everyone he meets. His first album is a self-produced multi-genre children’s album, “Mista Cookie Jar Presents: The Love Bubble”  which features his children (The Chocolate Chips) along with numerous musical artists from around the world on each track. All the music is original and composed as a family band. In the spirit of Bob Marley and the Beatles, all songs of the Bubble are bound together by the perennial concept of love. Mista Cookie Jar’s music speaks for itself, thoroughly energizing and encouraging the listener to find strength in one’s own heart to maintain the inspiration within one’s own inner child. With two great shows – April 13 & 18 – the students of the HSMC have been working to bring two completely different experiences to the Firehouse this year. First, Parental Control: The HSMC takes the earbuds out and pauses their own playlist to cover their parents’ favorite music. Instead of rolling their eyes, the young musicians will play mom and dad’s playlist live. Next on deck is Originality 2.0: Back by popular demand, the students in the Firehouse Arts Center’s High School Music Collaborative feature their style of original music in this concert guaranteed to leave you wanting more and wondering how so much unique talent can exist in one music group! The Oshima Brothers will make a guest appearance with the High School Music Collaborative. Rounding out the YMF 2019 are the Oshima Brothers, sibling bandmates with a magnetic sound that wraps the senses in a warm acoustic blanket. Having honed a harmony-rich blend of contemporary folk and acoustic pop, brothers Sean and Jamie create a marvelously full sound with dynamic vocals, electric and acoustic guitars, octave bass, loops, and percussion. With engaging melodies and inspirational lyrics, Sean’s soaring falsetto balances playfully with Jamie’s euphonic composition. Brotherhood radiates from their playful music videos, love of music winds through their songwriting, and their passion runs deep down to their roots. Their debut album, “Oshima Brothers”, released in 2016, is a collection of 11 original songs written by Sean and arranged and recorded by Jamie. The brothers live in Maine but are often on the road performing, producing music videos, and dancing. Posted on March 6, 2019 at 3:25 pm. East Bay Children’s Theatre continues its long-standing relationship with award-winning playwright and composer/lyricist Ron Lytle, who has polished up this classic vehicle (Kenneth Grahame’s “The Wind in the Willows”) with eight sparkling new tunes, plenty of laughs and daffy new characters. 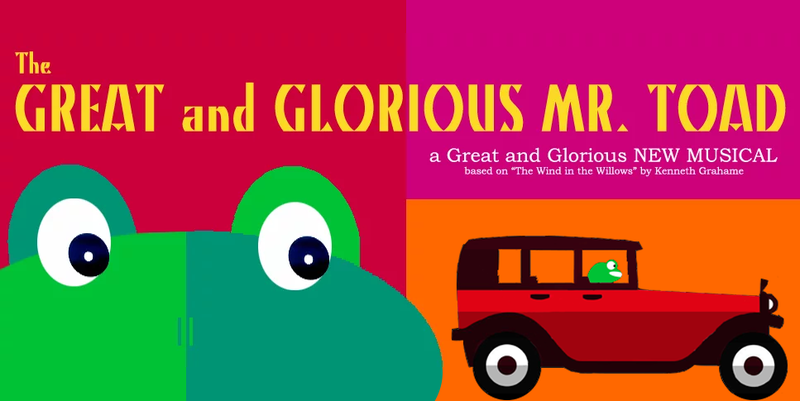 With The Great and Glorious Mr. Toad in the driver’s seat, this is one road-trip you won’t want to miss! When the batty J. Thaddeus Toad is overtaken by motor mania, everybody dives for the ditches! Cantankerous Badger, philosophical Rat and wide-eyed Mole vow to save their friend from himself, but how can Toad resist the lure of the open road? Adventure awaits just around every bend… along with a desperate jailbreak, a band of bumbling Bobbies, and a pack of felonious Weasels. Posted on January 23, 2019 at 11:43 am. “San Francisco Soul” is the best term to describe Royal Jelly Jive’s unique and intoxicating sound. Led by dynamic front-woman Lauren Bjelde, this sultry sextet rocks into uncharted musical territories with their infectious blend of modern and throwback sensibilities. Armed with retro horns, razor-sharp beats, and groovy songs that are near impossible to resist, RJJ can pair with your fancy cocktail at that smoky jazz club or shake up even the funkiest dance party.